A carbonaceous solid acid catalyst bearing weakly acidic carboxylic and phenolic functional groups was facilely prepared by the pyrolysis of cow dung followed by KOH activation. The prepared carbonaceous material showed low activity for the catalytic hydrolysis of raw cellulose in water (3.6% glucose yield). However, after the cellulose was pretreated by mixing with the carbonaceous catalyst in a ball mill, cellulose hydrolysis afforded a high glucose yield of 59.3% in water at 200 °C, and the glucose yield increased to 74% under the same reaction conditions in 0.015 wt% HCl aqueous solution. The increases were attributed to the decrease in degree of crystallinity of the cellulose, as well as good contact between the catalytic domain in the catalyst and the β-1,4-glycosidic bonds in the cellulose molecules by the mix-milling pretreatment. 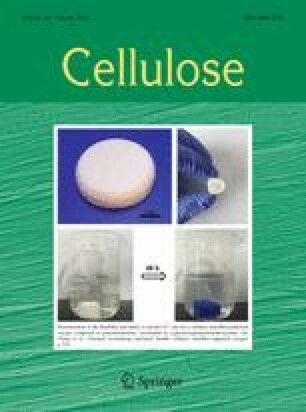 This work provides a promising strategy for efficient cellulose hydrolysis in water by a weakly acidic solid catalyst prepared from the agricultural residues. This work was financially supported by the Natural Science Foundation of Tianjin-China (No. 16JCZDJC33700), Natural Science Fund for Distinguished Young Scholars of Tianjin (to Dr. Xinhua Qi), the National Natural Science Foundation of China (NSFC, No. 21577073), and Elite Youth program of Chinese Academy of Agricultural Sciences.